sharing of memories of times gone by. first time we'd had live entertainment at any of our past picnics. seen Rita in almost 45 years. 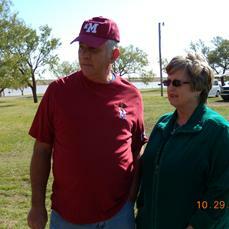 and husband, Bobby; Jim Zellmer and wife, Connie. together for our next get-together.